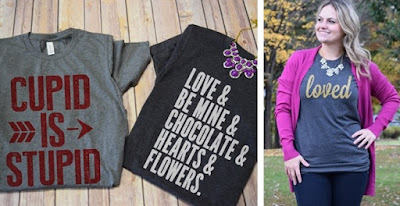 Loving these V-Day Graphic Tees for ONLY $14.99 (Retail $27.99). The crew necks are a unisex tee. For ladies, this item fits TTS/slightly big. We suggest you order your normal size, unless you like a fitted shirt or are in between sizes, you will want to size down. Men, there will be a slightly fitted bicep and chest. $2.99 for the first item and $0.99 for each additional item. US only. Estimated to ship by Thu, Jan 19.